Reprint. Originally published: New York: Amulet Books, 2015. I really don't understand why Mom thinks we need to go BACKWARDS, anyway. From what I can tell, the old days weren't that much fun. Life was better in the old days. Or was it? That's the question Greg Heffley is asking as his town voluntarily unplugs and goes electronics-free. Join the millions of 7+ readers all around the world who love reading about Greg's misadventures. 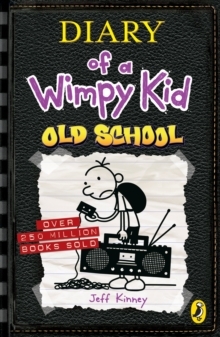 The Diary of a Wimpy Kid series is perfect for avid and struggling readers.